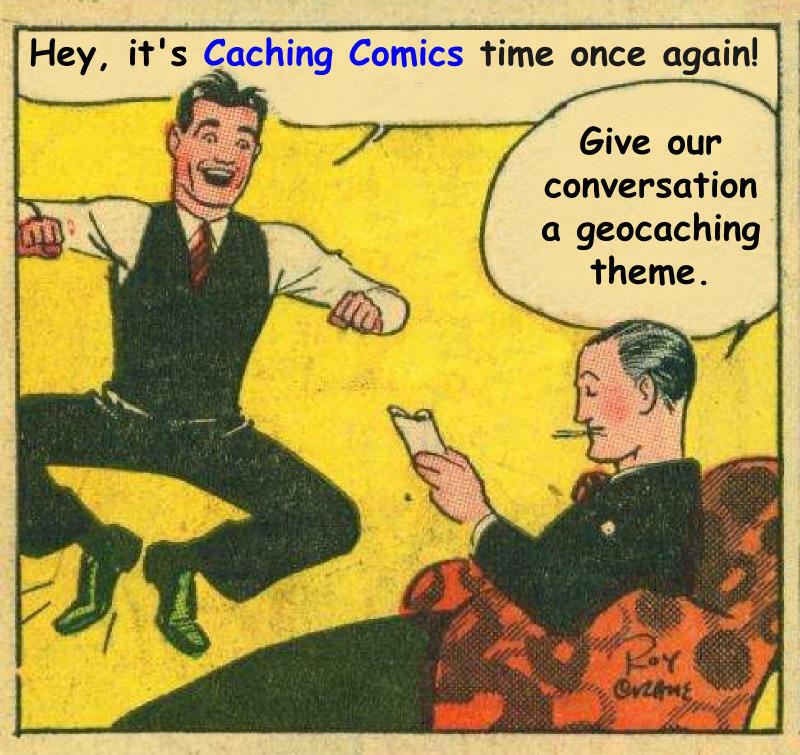 We post a picture of a comic with empty talk bubbles and you need to fill in what they're saying to make it about geocaching. Geocaching is a family friendly sport, so please do not submit entries with language/themes/inneuendos that are not kid-friendly. Rewording will be requested for entries that are deemed inappropriate or potentially controversial. Captions are accepted till early Thursday morning, one per person. The submissions will then be posted and visitors will have until Friday night to vote for their favourite. The winner will be announced on our Facebook page and a prize awarded. Only one vote per person, and at most two votes per IP address (to allow for a couple to both vote). People who submit entries must also vote for an entry that isn't their own to be eligible to win. This will help ensure a minimum number of votes each time. Let the comic captioning begin! This contest is not running at the moment. The results of the last round can be found on our Facebook page.